The Lakewood Locksmith Who Works For You! We know that you want to feel safe and secure in your home in Lakewood, and that you need to know that your business is secure, too. At Colorado Security Products (CSP), we love the Lakewood community and we would love to help you feel like you are safe when you are in it. 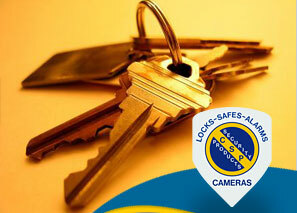 We’ll work hard so that you don’t have to stress about your locks or your security products in Lakewood. We get called to Lakewood all the time to perform emergency locksmith services. We love being your Lakewood locksmith, and we would love it if you called us the next time you’re locked out of a vehicle or a building, or you have a security system that has run amok. In fact, we are available 24/7 in Lakewood. Call us anytime, day or night, weekday or weekend, and even on holidays. We’ll have someone standing by who can unlock that lock or figure out what has gone wrong with your system so you can get where you need to go. When you call us, we’ll get to you as soon as we possibly can. We’ll let you know approximately how long you’ll have to wait for your Lakewood locksmith, so you won’t be left wondering. Once we’re there, we’ll assess the problem and let you know how it can best be solved. Then we’ll get to solving it so you can get back to the rest of your life. Even when it’s not an emergency, we are proud to be your locksmith in Lakewood. As part of our job, we not only handle locks but will take on all of your security needs. Do you need to install a security system at your home or work? We’ll help you evaluate all of the different options that are available so you can select the one that is best for you. We’ll give you all of the details you need to make a choice that will work well for you, then we’ll install it and help you learn how to use it, too. Do you just want to monitor access to certain areas of your home or business? We’ll help you set up a security camera or a whole network of them so that you can see everything you need to see. We’ll make sure you know how to use them, too, so you can get the most out of your investment. Maybe you need a safe to protect money, paper, valuables, or weapons. We’ll talk to you about what you want to safeguard and where you want to put the safe, then help you choose the one that is best for you. We’ll even order it and install it for you, so you don’t have to worry about anything. No matter your security or locksmith needs in Lakewood, we are here for you at CSP. Remember that we have an emergency locksmith standing by all the time, so you can call us whenever your need arises.